Preheat the oven to 330º F.
Make a “flax egg” (my standard egg replacement in baking) by combining 1 tablespoon ground flaxseed with 2 tablespoons water. Set aside for 5 minutes to form a gel. In a large mixing bowl, sift all the dry ingredients together (flour, cocoa powder, baking powder, and salt). Sifting is important here to give the batter the right consistency. In a blender, combine about 1/2 cup loosely chopped kale with 1/2 cup apple sauce, 3 tablespoons of non-dairy milk, and 2 tablespoons of maple syrup until completely pureed like a green smoothie. 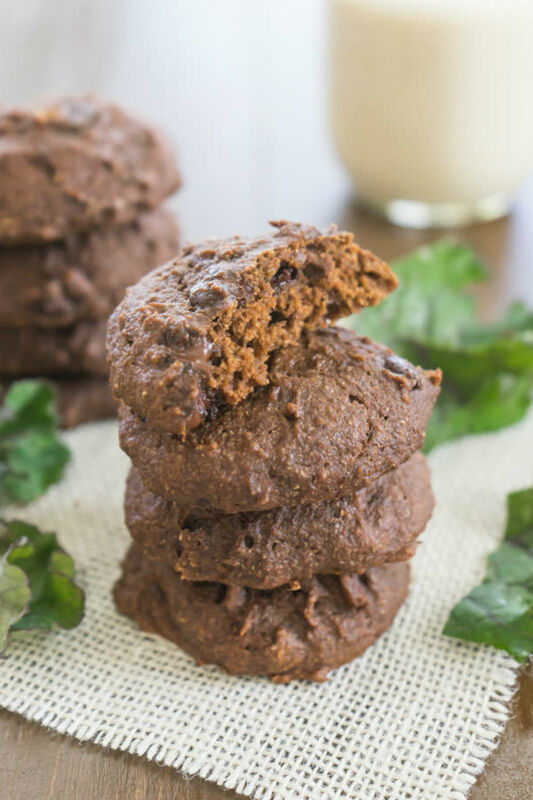 Add this to a separate mixing bowl along with the other wet ingredients: Sucanat (or coconut sugar, or any other type of natural sugar), softened coconut oil, that flax egg, and 2 tablespoons of non-dairy milk. Whisk this for a full minute or two until all the ingredients are incorporated. Slowly pour the wet ingredients into the dry and stir gently with a wooden spoon until mostly combined, but do not over mix. A few lumps are preferred to over mixing the batter and creating rubbery cookies. Spoon this batter into cookie-sized rounds and flatted them onto a baking sheet covered with parchment paper. This batter is much more sticky, almost like brownie batter, and it will take a bit of coaxing to get them into the right shape. Then, bake for about 12-14 minutes at 330º F until cooked thoroughly. Preheat oven to 350F. Line a 9×13 pan with parchment paper, or grease well. Blend together the first 6 ingredients (if using coconut oil, make sure applesauce and water are not cold). In a large mixing bowl, stir together all remaining ingredients. Pour wet into dry and stir until just evenly combined, pour into the prepared pan, then use a full sheet of parchment or wax paper to press down firmly until the batter evenly covers the pan. Bake 19-20 minutes. Pat down hard with a pancake spatula or another sheet of parchment paper. 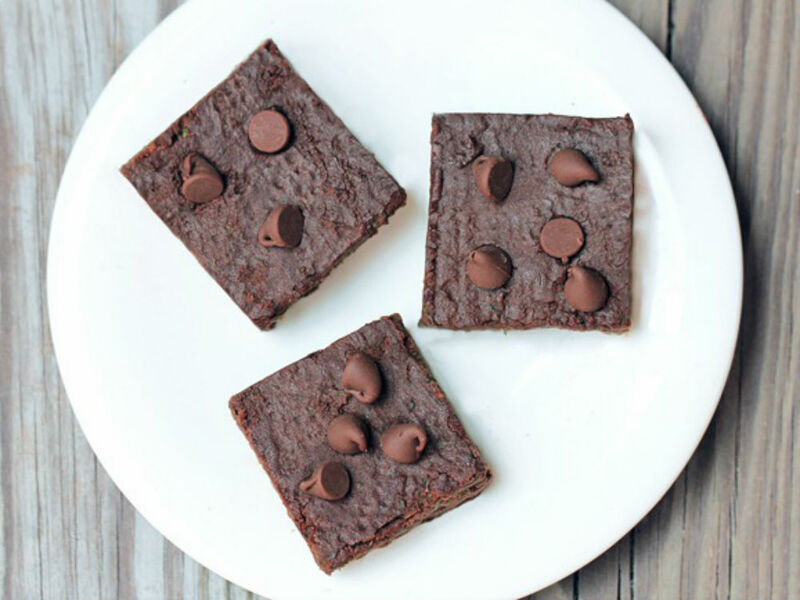 Let brownies sit 15 minutes before cutting into squares. (As a general rule, cutting brownies with a plastic knife prevents crumbling.) They taste 10 times better the next day, so make them in advance if possible. Makes 20-24 squares. Start by washing the kale, then tear small pieces off the stems, discarding the stems and placing the leaves into a bowl. 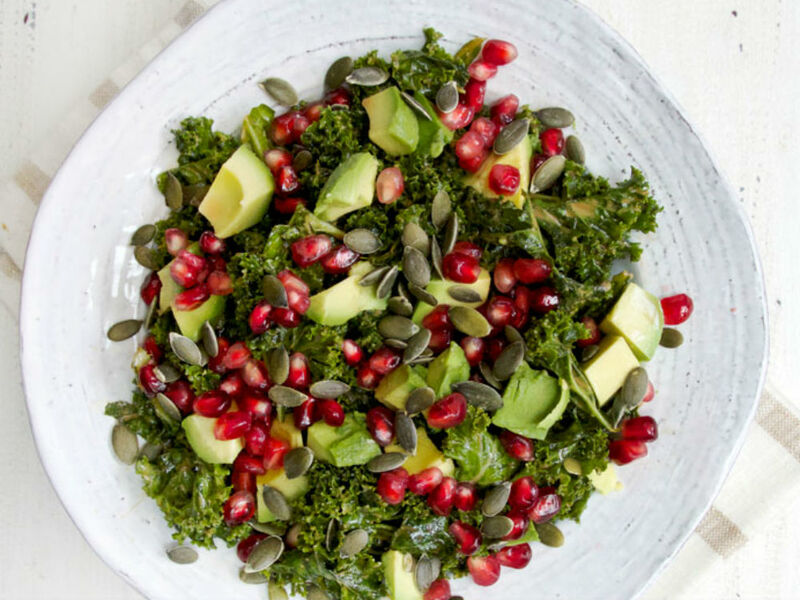 Drizzle all the dressing ingredients onto the kale. Then use your hands to firmly start massaging it all into the leaves, as you do this you’ll feel the leaves soften and wilt. Keep massaging them for a few minutes to make sure they’re really soft, at this point stir in the pomegranates and avocado cubes. Combine all the ingredients in a blender and blend on high speed. Pour over 2 glasses filled with ice. 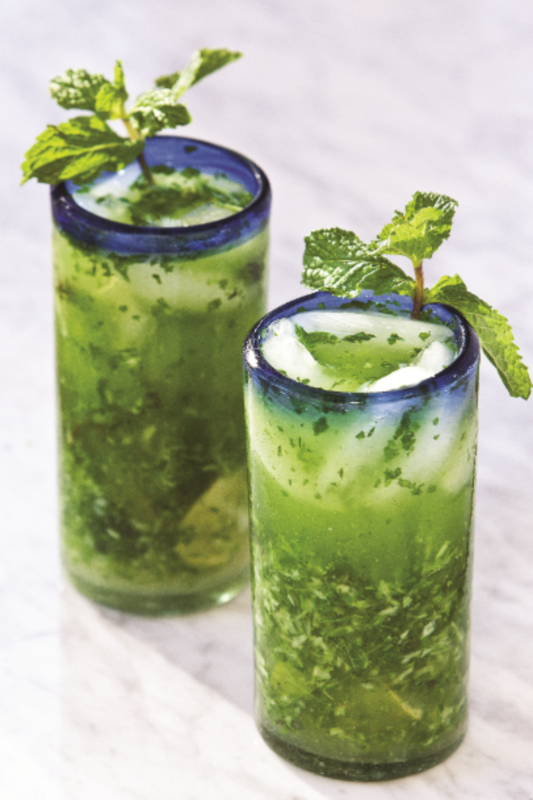 Garnish with the mint sprigs and serve immediately. 1 cup coconut milk; I prefer the brand ‘koko’ – yum. Pop in 2 bananas in your freezer to make sure they’re nice and frozen before blending. 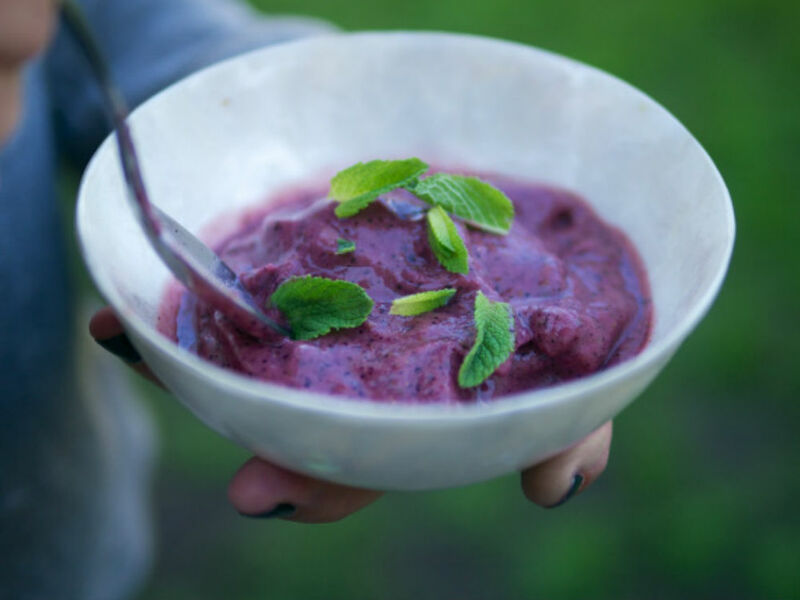 Put all the ingredients in a high-speed blender, Vitamix is a great one – and watch how quickly (about 30 seconds) your ingredients morph into a delicious and incredibly nutrient-dense ice cream! Top with some mint and you are good to go! Blanch the kale in boiling salted water for about 3 minutes and chill down in a cold water bath, drain and squeeze excess water. Place into small work bowl of food processor and pulse to start breaking up the kale, add rough chopped garlic, process, add pine nuts, pulse several times. Slowly add the olive oils and lemon juice, process until everything is broken down. It will never be real smooth. Finally add the cheese and pulse a few times. Season with salt and pepper. 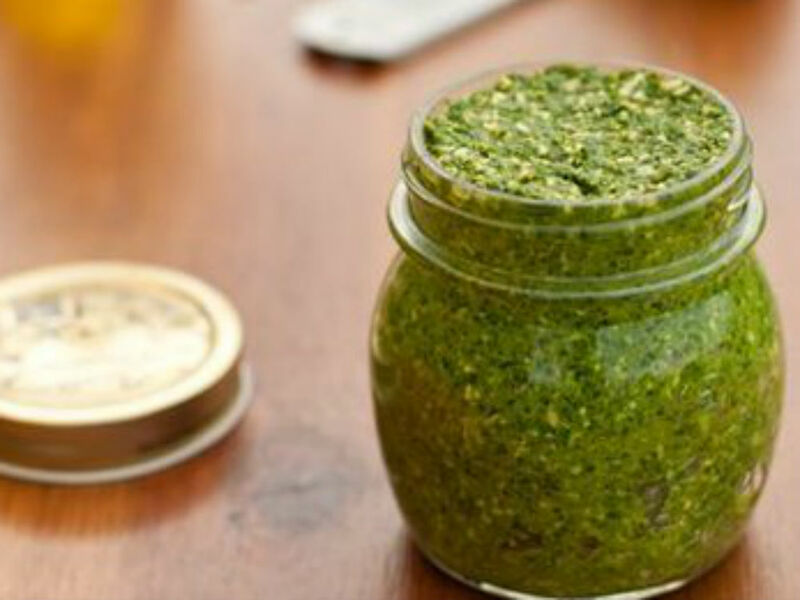 If serving with pasta grate a little extra cheese over and add EVOO to the hot pasta, toss with pesto, serve with additional grated cheese.